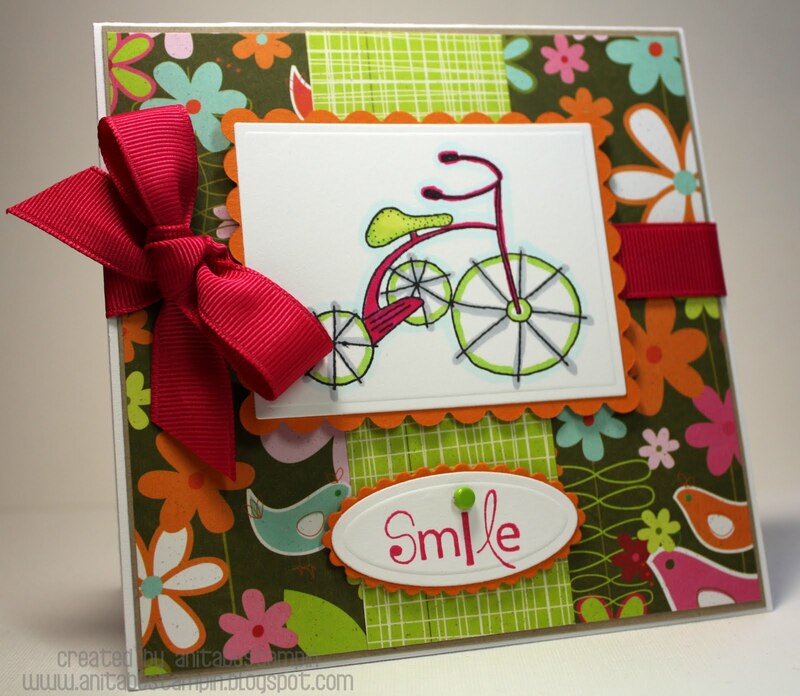 So Cute love the bike!!!! Too cute, gf! I love that DP and ribbon! Scrumdiddlyumptious! I love these bright colors!! And your ribbon looks gorgeous!! !